This week there is a really interesting promotion running at WildSlots. 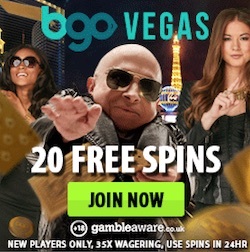 This is a new casino that was founded just last year but WildSlots has already made huge success online. The casino is running on a platform from EveryMatrix and this platform is used by many other operators in the online gambling industry. WildSlots was founded by the same people that started both CasinoLuck and NextCasino. You are probably aware of both these giants as the brands are really popular. WildSlots is very similar to both these casinos but there are some smaller differences. For example WildSlots is more of a high roller casino with a harder feeling. But just as NextCasino and CasinoLuck there are loads of weekly promotions running at WildSlots. 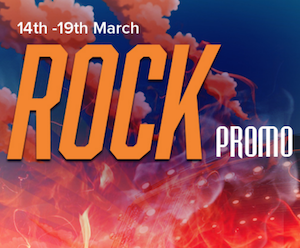 And this week players can claim both bonuses and loads of free spins in the new promotion called Rock Promo. The Rock Promo that is running at WildSlots this week is going on between Tuesday and Sunday. During this time you can visit WildSlots on a daily basis to claim new amazing offers. 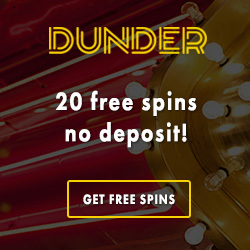 There are hundreds of free spins to get as well as really valuable bonuses. And all these offers are in some way connected to the games that are included in the collection Netent Rocks. We're talking about Guns n Roses, Jimi Hendrix and Motörhead. If you think that WildSlots' Rock Promo sounds like something for you you should login to the casino straight away. This Tuesday members of WildSlots can lay there hands on 60 free spins on Guns n Roses. To get the free rounds you only have to qualify for the offer by depositing at least €/$/£30 during the day. if you do this you can login to your account tomorrow by 15:00 GMT to use your spins on either desktop or mobile. Tomorrow you can also get a nice casino bonus in the Rock Promo. To get this bonus you should only wager €/$/£50 or more on the slot Megadeth. If you do this you can collect your bonus of €/$/£10 in the casino tomorrow afternoon. Since the Rock Promo is going on until Sunday there are more offers to claim in the casino this week. On Thursday you can make a visit to WildSlots to claim 40 free spins on the netent slot Motörhead. In order to collect these rounds you just have to make a deposit of at least €/$/£20. 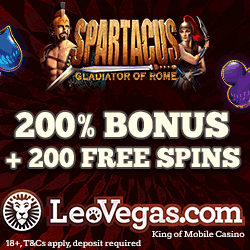 If you claim the offer you will see your collected spins in your account on Friday by 15:00 GMT. Then you can also take the opportunity to get a nice reload bonus. This reload bonus will boost your account with 50% extra up to £/$/€50. It's really easy to get this reload bonus as you only have to use the promo code WSROCK when you make your deposit to WildSlots. At the end of the week an exciting lottery will take place in WildSlots' casino. You can join this lottery by collecting tickets on both Saturday and Sunday. You will be rewarded with a ticket for every 200 rounds you play on slots in the casino. You will also get one ticket for every £/$/€20 you deposit to WildSlots during the weekend. At the end of the weekend 10 lucky players will win 250 free spins each on the rock slot Jimi Hendrix made by Netentertainment. 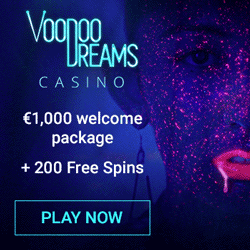 If you're new to this casino you can sign up now and claim a welcome package with a total of £500 in bonuses and 150 free spins!